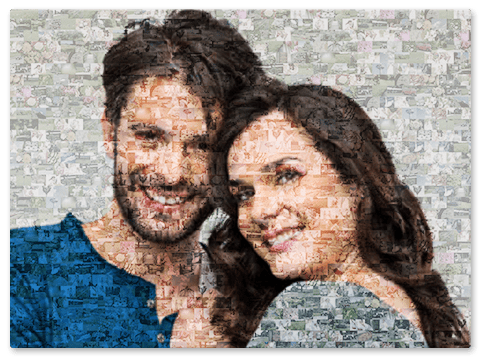 Create a photo mosaic - up to 1000 photos & FREE preview! It‘s very easy these days to create photo mosaic from lots of little photos. The mosaic is put together in just a few minutes. For this, you need a photo which will be the main motif in the end. The mosaic in the background is made up of lots of tiny photos. You can use up to 1000 photos for this. In order to create an attractive mosaic from your photos, you have to remember a few simple things. It will be quicker when the background mosaic photos are small files. 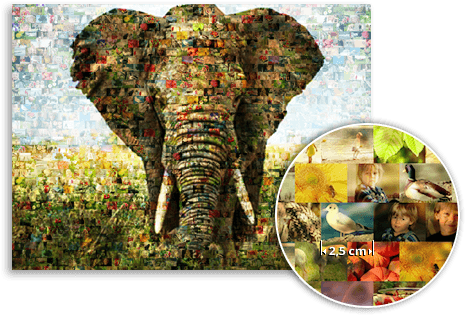 The more of these small photos you use to create photo mosaic, the more beautiful it will be. First choose your main picture to create your mosaic and upload it. 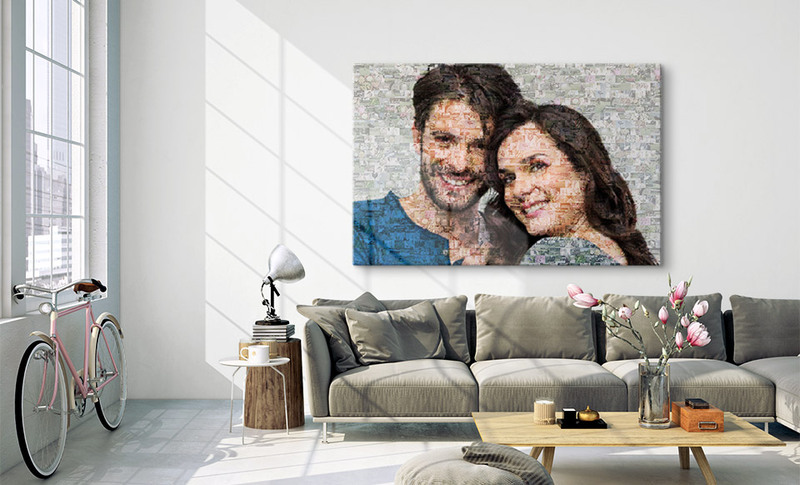 Now we can start creating your photo mosaic. It will be ready in one day max! If you’re happy with your mosaic, select your product (e.g. acrylic glass).